Ameda Replacement Locking Ring Ameda breastfeeding pumps are uniquely designed to provide comfort to mothers. New mothers use Ameda pumps to have an easy and soothing breastfeeding experience. 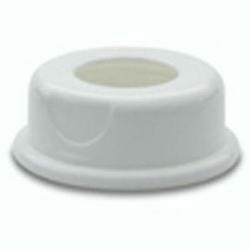 The Ameda Replacement Locking Ring is a replacement part for the Ameda pump. The Ameda Replacement Locking Ring is a part needing replacement due to wearing out or losing the piece.